If you already have your name in Japanese Katakana. Just send us a picture of your names. Translation available English to Japanese Katakana. Small or Large name same charges. Traditinal wide 4cm. Available in any size. 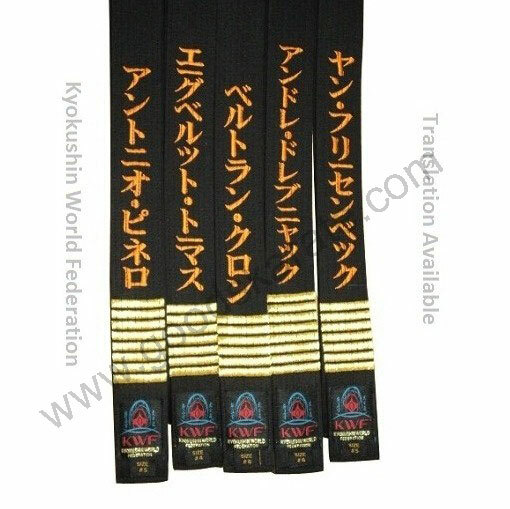 Special Best quality heavy weight belt. Shipping charges will be charge 500 gram.